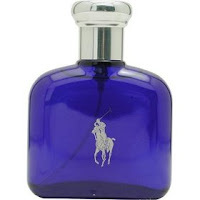 perfumes: Polo Blue By Ralph Lauren For Men. Introduced in 2002. Fragrance notes: patchouli, gernium, amber and melon, warm and inviting. Recommended use: evening.